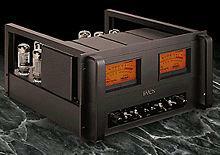 Some audiophiles tend to get a mite sniffy around those of us who have expensive tastes and limited budgets. I've always been willing to spend the price of a new car on a set of speakers, but I never had the cash or credit. The sonic virtues of hefty, high-powered Krells and wondrous, single-ended tube designs always enchanted me, but when you're raising a family you make do. Through my experiences in a high-end audio establishment I learned the metaphysics of mixing and matching as befits my lowly caste, and I gradually developed sophisticated reference points, so that as the years swept by I managed to inch my way up the aural food chain. In Hinduism, an avatar is an incarnation of spirit—a god who descends to earth in bodily form. 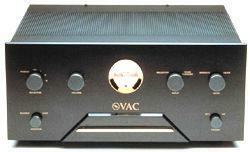 For Kevin Hayes of the Valve Amplification Company (VAC), the Avatar was meant to be nothing less than his defining statement of the state of the audio designer's art. Drawing on the high-tech refinements and scrupulous attention to individual components that distinguish his flagship high-end amps and preamps, Hayes has filtered it all down into one attractively priced integrated amplifier. The women in my family and extended circle of friends are generally captivated by good sound, but are often appalled by the brutish, monolithic packaging that passes for "styling" in high-end gear. "Not in my living room," is the refrain, often played in a minor key. 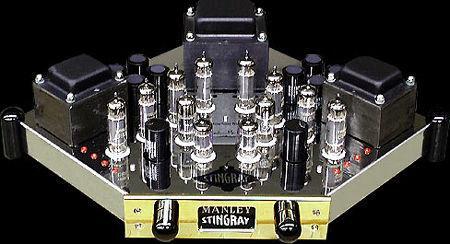 There's an aesthetic dimension to the Manley Laboratories Stingray that transcends high-end audio and borders on modern sculpture—not unlike the E.A.R. V20, which I auditioned in the October issue. Still, the Stingray is by no means an exercise in gimmickry. 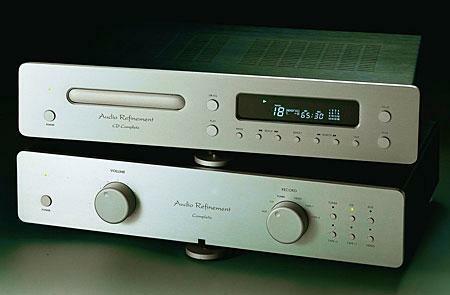 Form has clearly followed function at every step in the design process, the ultimate goal of which was to fashion a vacuum-tube integrated amplifier with real-world power that defined the outer limits of high-end performance in a functional, affordable, bare-bones package...with a touch of style. 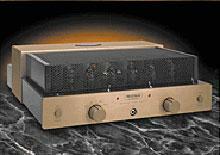 Audiophiles once took it as given that LPs sounded better than CDs—end of discussion. Things are no longer so cut-and-dried. In my seven years as a contributing editor to Stereophile, I've seen an enormous improvement in the quality of digital software and playback-delivery systems. The early-1980s recording and remastering anomalies that made listening to early digital recordings so fatiguing are largely things of the past, though advocates of massive compression, jacked-up gain, and compensatory EQ ("Sounds-better-on-cheap-radios," they dully chant) continue to sully the waters of natural resolution.